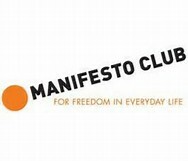 We have partnered with civil liberties group the Manifesto Club to offer legal help for people facing orders from the local authority. Our students work with clients to resolve their disputes in a way that honours a commitment to due process. We are troubled by the power given to local authorities to deprive people of freedom for everyday behaviour. In January 2018, students will begin our pioneering civil liberties clinic in partnership with Queen Mary legal advice centre and the Manifesto club. We hope that we can replicate the success of our criminal appeals clinic.